made manually since more than 1000 years where it takes one year for production and drying : Aleppo soap composed of olive oil , laurel oil , manufactured materials and water only .The amount of olive oil and laurel oil range according to the quantity of added laurel oil which is in the range from 5 to 25% that is excellent, enough and larger amount is not beneficial . -We use perfumes of the best quality, international, cosmetic and luxurious brands. 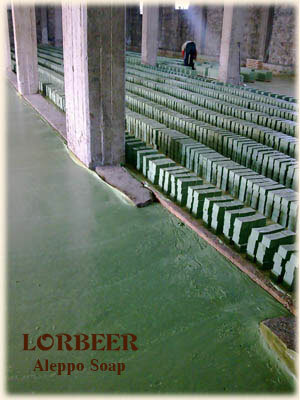 1- The Lorbeer Aleppo soap Company seeks to select the best quality oils from olive oils, laurel oils and other oils; it never uses cheated oils, non original oils such as lettuce or cucumber oils, or extracted oils which have no nutrients. 2-It introduces scientific methods in Aleppo soap production where the pH is reduced as much as possible. Several trials have been done in order to achieve the best quality under the supervision of many scientists at the best universities. 3-The production of liquid Aleppo soap (Bio/Herbal shampoo) from its solid form uses the best scientific methods in which the liquid Aleppo soap is kept in a stable condition to avoid separation of the oil from the other compounds. 4-It adopts a high level hygienic system in the factory as do the workers in the cleaning of the machines made from chrome. 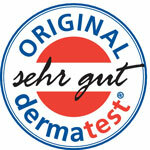 Also, specific hygienic care is taken to make sure the product is clean as is its packaging. 5-It introduces new industrial methods in forming new shapes and molds of Aleppo soap. Our company is the first to introduce intricately designed molds for the Aleppo soaps in which other companies copied soon after. 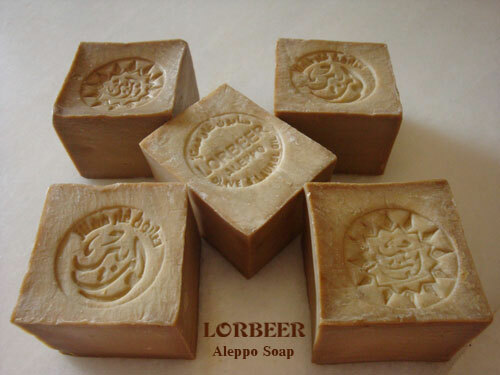 6-Its Aleppo soap include aromatic perfumes. It’s most successful perfumes are the oriental fragrances such as Ambar, Oud, Bakhour and Musk. 7-It is credible in the information where the content on the outer package matches that which is truly used in its production. 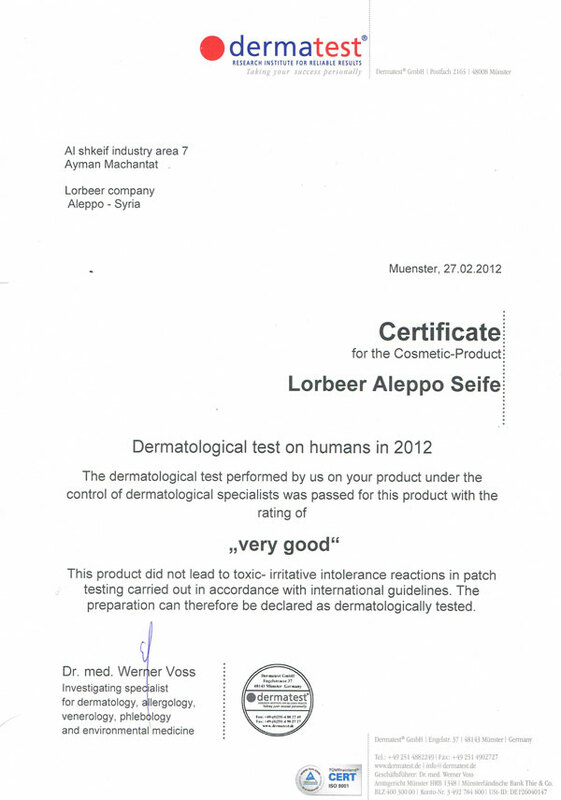 9-We promise ourselves and we promise you to develop the Aleppo soap in all its best aspects. 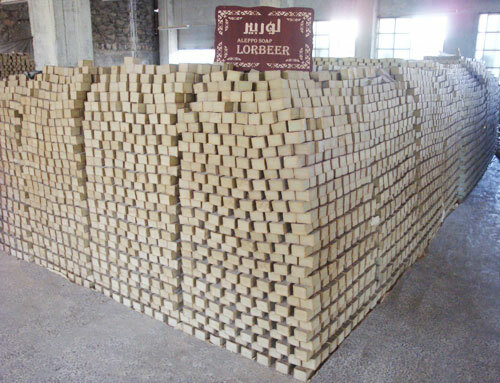 -The production (cooking) of the Aleppo soap is made in the cold weather of the year for about 3 months only. - In the past, before the Alepp soap production, the olive oil was mixed with sand to form a small piece to scratch the body and remove the dirt attached to it. -The photo below shows the dry Aleppo soap after 5 long months of cooking. Some questions about Aleppo soap. Why does the color of Aleppo soap change from green to yellow? Why does Aleppo soap become soft after using it? Because Aleppo soap contains olive oil and the particles of olive oil are soft, unlike palm oil. Why is no foam produced from Aleppo soap or liquid Aleppo soap ? The pH of Aleppo soap is more basic than pH of the scalp oil. Therefore,when the Aleppo soap is first applied onto the scalp, no foam is produced.However, when the Aleppo soap applied onto the scalp for the second round, foam will be created our products are natural sa no sulfate laurel sodium (foam generator) used. 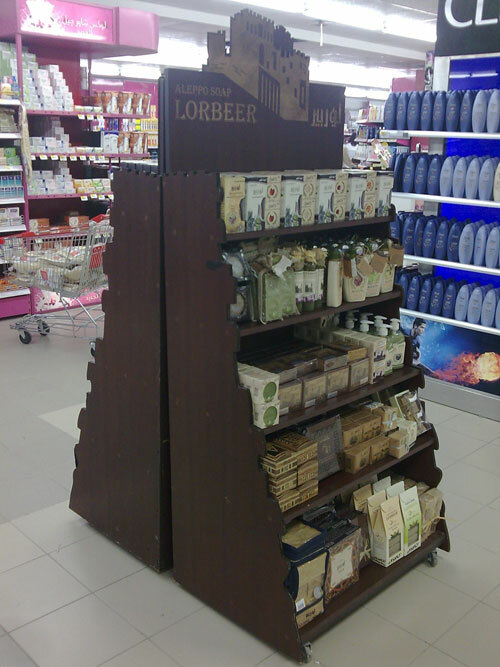 LORBEER Liquid laurel Aleppo soap. Bio shampoo (liquid laurel Aleppo soap) there is no SLS sulfate laurel / lauryl sodium -anti dandruff. Herbal shampoo (liquid laurel Aleppo soap) from olive oil and laurel oil - nourish and strengthen hair and skin. Organic shampoo ( liquid laurel Aleppo soap ) there is no chemical, just natural materials -natural smooth and sheen hair. Liquid Aleppo Soap, olive oil shampoo Aleppo soap, bio shampoo Aleppo soap, organic shampoo Aleppo soap, olive shampoo Aleppo soap. Almond oil Aleppo soap for healthy hair and skin. Coconut oil Aleppo soap for anti dandruff. Castor oil Aleppo soap as multi vitamins for hair and skin. Sesame oil Aleppo soap for smooth and sheen hair. Black cumin oil Aleppo soap to nourish and strengthen hair and skin. Olive oil Aleppo soap helps remove fats from the head scalp. Olive oil soap, olive soap, laurel oil soap, laurel soap. Aleppo soap is handmade until now. Lorbeer - Aleppo city- Syria.